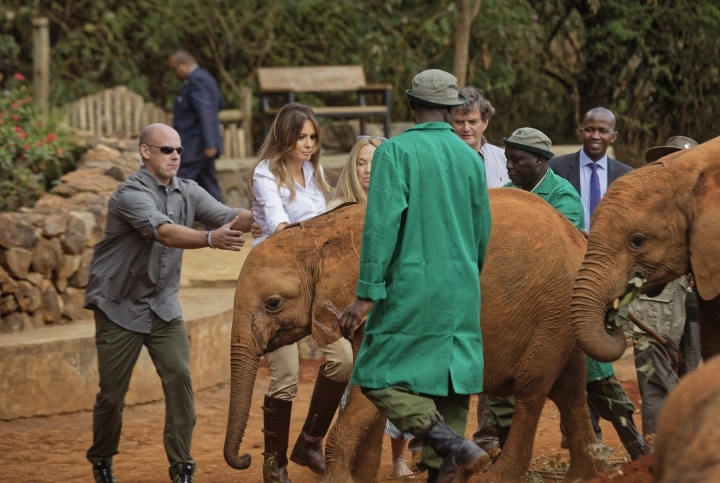 The U.S. first lady laughed after one of the baby elephants made a sudden move and she momentarily lost her footing. 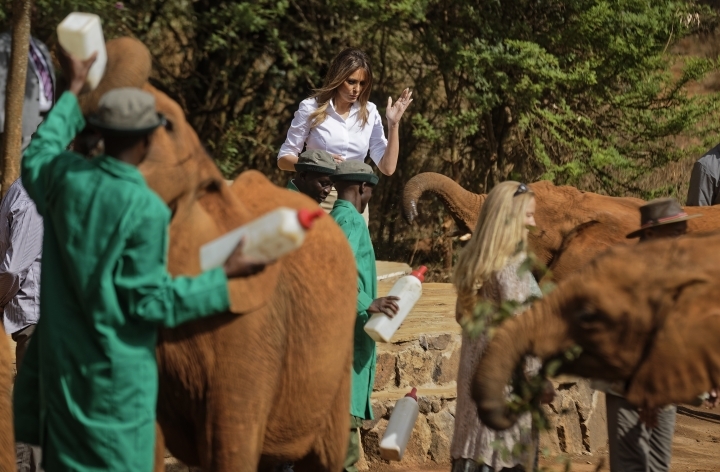 She fed formula to two of the elephants raised at Nairobi National Park and reached out to others, patting one's back and stroking the ear of another. 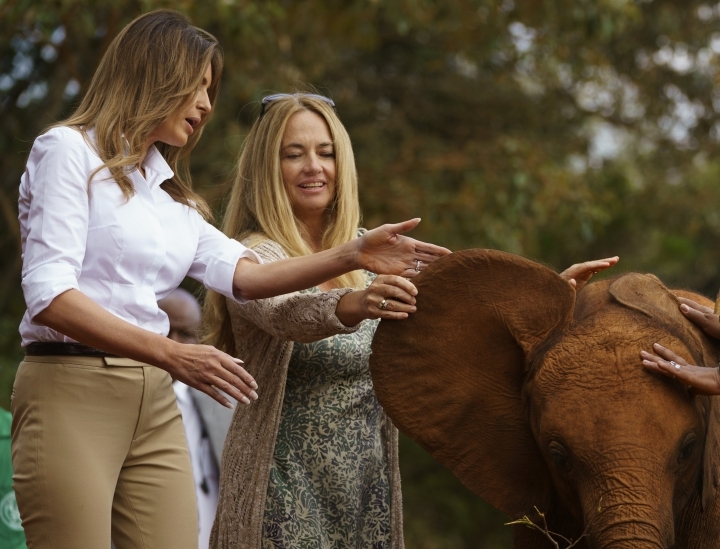 Kenya is the third stop on her Africa tour, which began Tuesday in Ghana and continued in Malawi on Thursday. 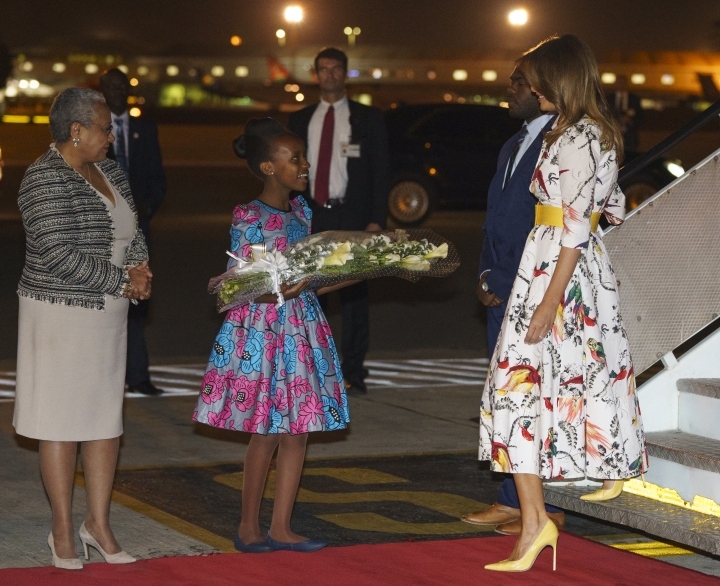 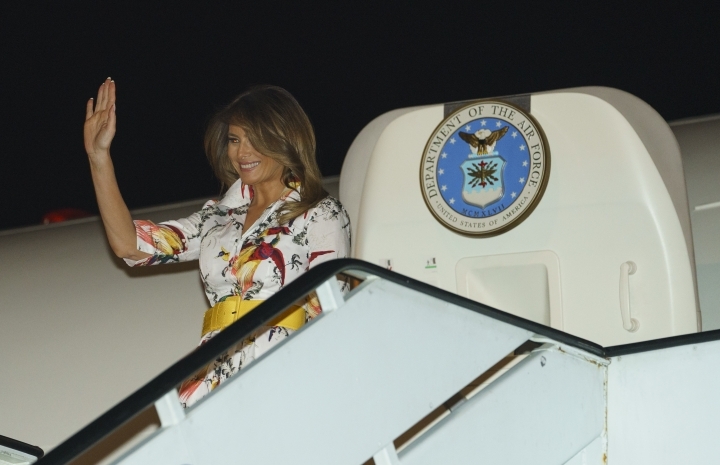 Her first-ever visit to Africa is also her first extended solo international trip as first lady. 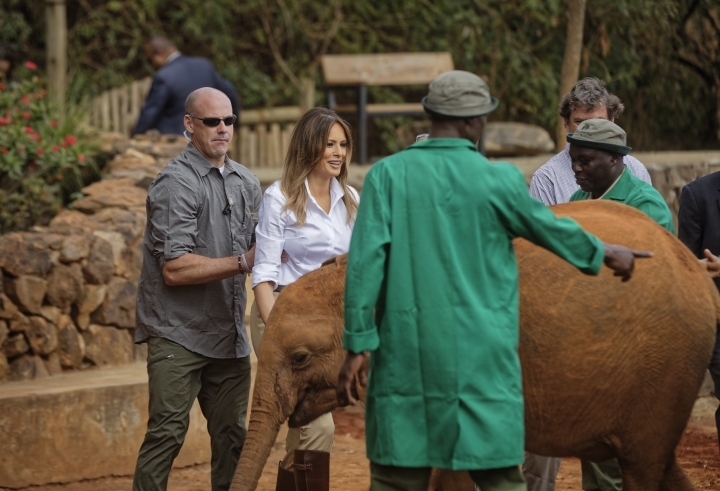 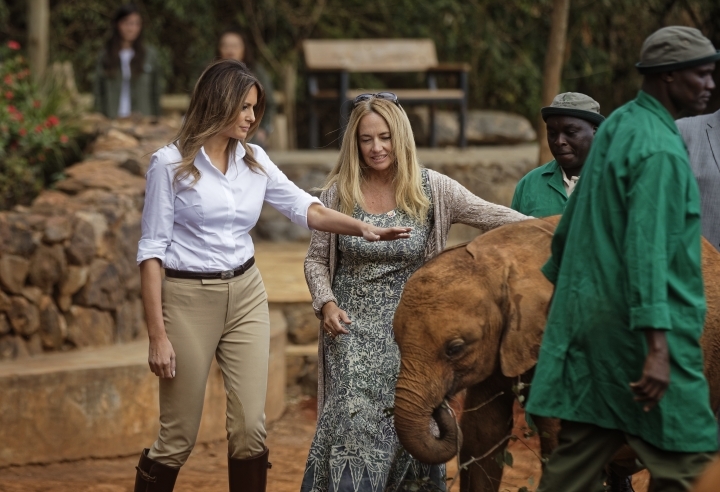 Mrs. Trump also took a brief safari as she learns more about steps the East African nation is taking to conserve wildlife. 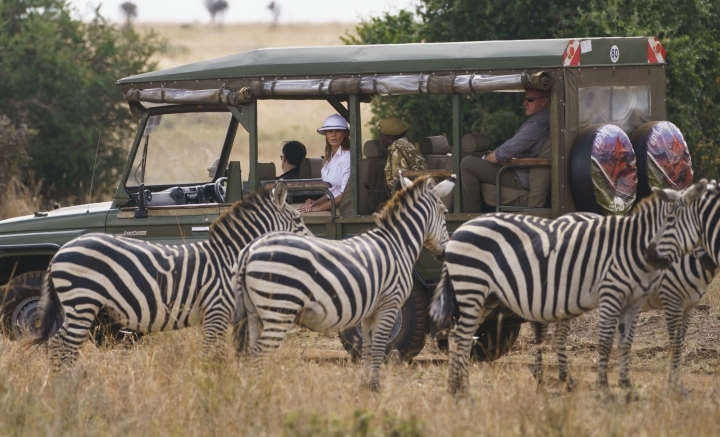 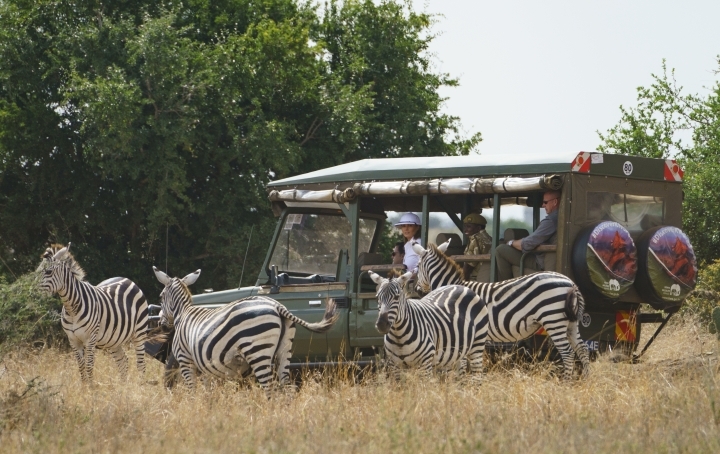 Dressed in riding pants, boots and a white safari hat, she took photos and peered through binoculars for a closer look at zebras, giraffes, impalas, rhinos and hippos. 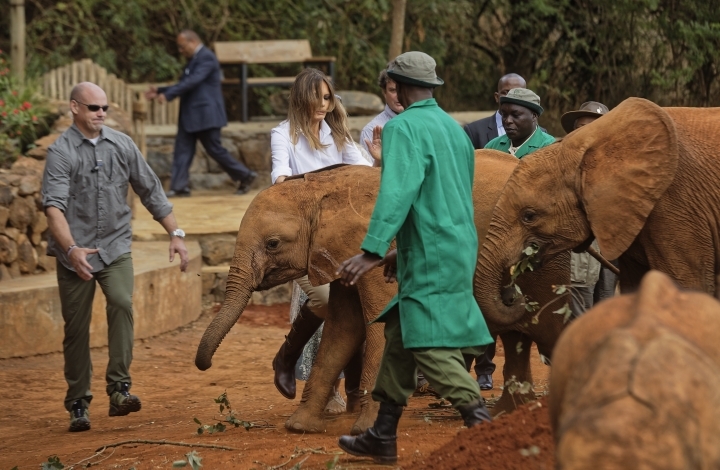 The national park is where 105 tons of ivory have been burned to discourage the trade. 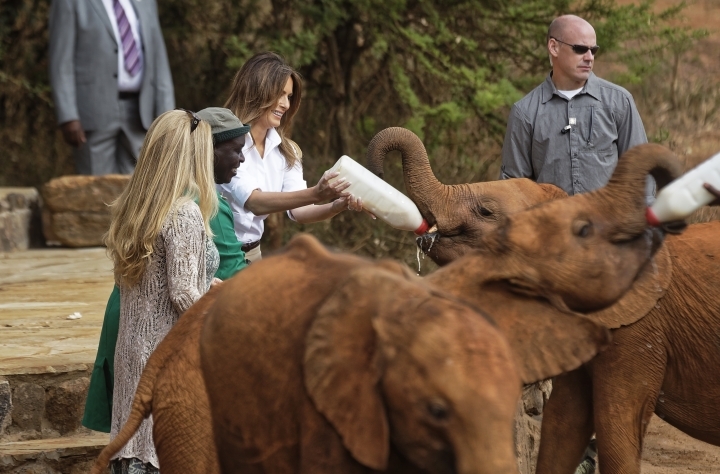 Mrs. Trump signed a guest book at the site. 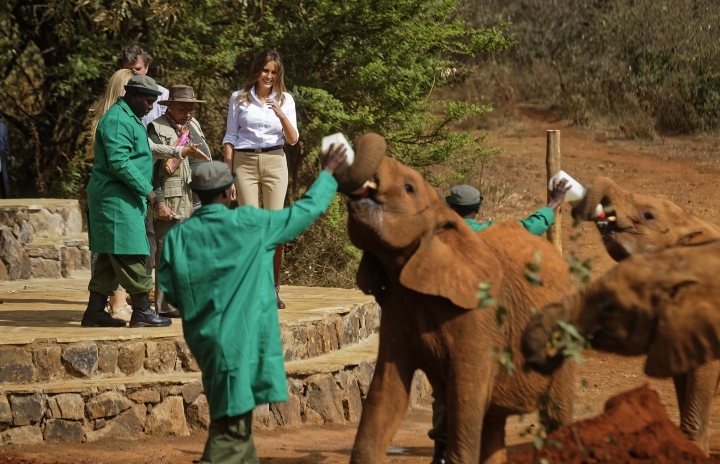 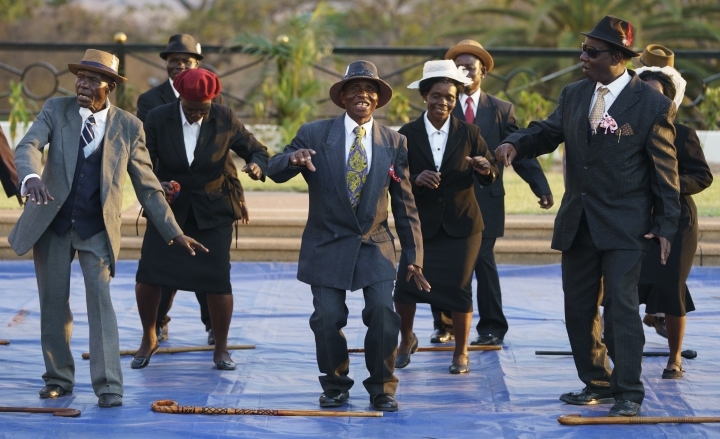 She also was expected to visit an orphanage and take in a children's performance at Nairobi National Theater. 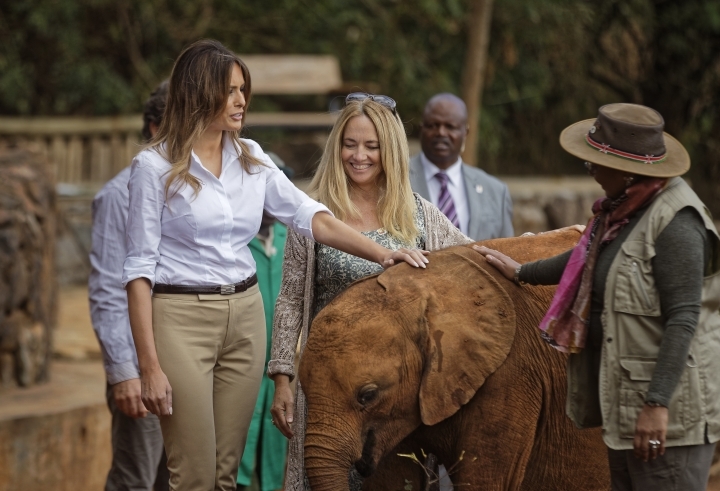 Egypt will be her final stop on her tour of the continent that focuses on child welfare, education, tourism and conservation. 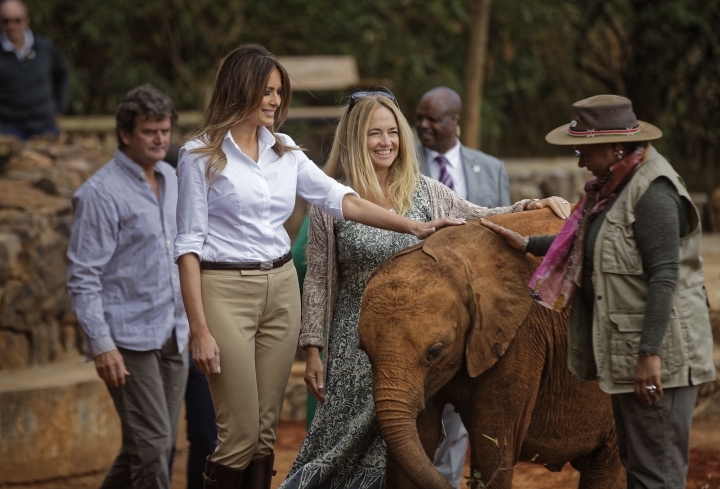 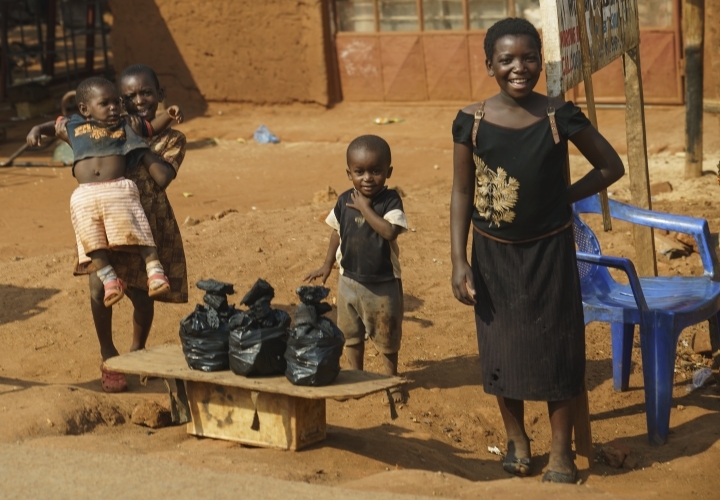 Her visit has included promoting the work of the U.S. Agency for International Development, whose funding President Donald Trump has twice proposed slashing by nearly a third. 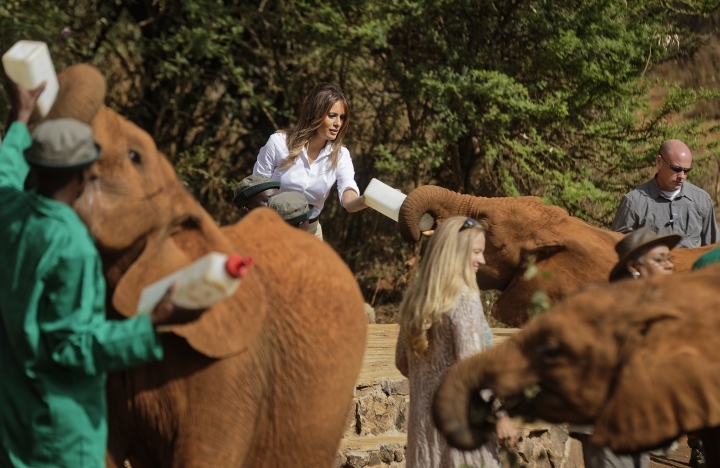 Lawmakers essentially ignored those requests.